Dr Setumo Mohapi is the CEO of the State Information Technology Agency (SITA), a position he has held since 1 April 2015. Prior to this, Dr Mohapi was the CEO at Sentech, having worked in various technology and business positions at Transtel, Internet Solutions, Neotel and Telkom. Well versed in the ICT sector, Dr Mohapi has brought a wealth of experience to SITA since his appointment – a result of many years of experience holding and serving in various executive positions both in the public as well as in the private sector, as alluded. 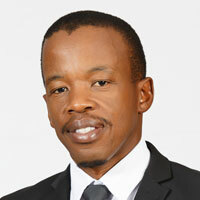 Dr Mohapi's academic achievement includes a Bachelor of Science degree (in electrical engineering and computer science) from the Massachusetts Institute of Technology, as well as a master's degree in electrical engineering, also obtained from MIT. This was followed by a PhD degree in electrical engineering, this time from Wits.